Nicholas Angel (Simon Pegg) is a big-city cop who can't be stopped - but he's making everyone else on the force look bad. When he is reassigned to a small, quiet town, he struggles with this new, seemingly idyllic world and his bumbling partner (Nick Frost). But their dull existence is interrupted by several grisly and suspicious accidents and now the crime-fighting duo has to turn up the heat! 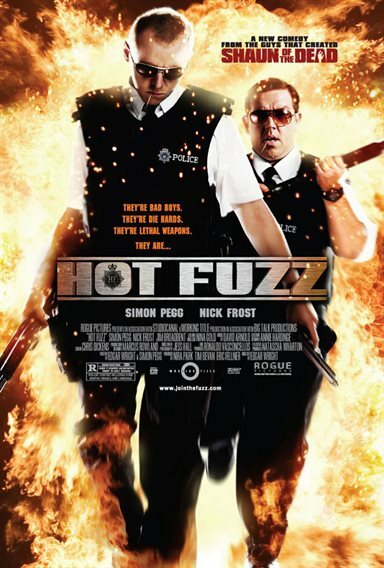 Download Hot Fuzz in Digital HD from the iTunes store. Hot Fuzz images are © Rogue Pictures. All Rights Reserved. Hot fuzz better than Shaun of the dead!